The Business Development Manager is responsible for prospecting and closing new business accounts. The Business Development Manager will serve as the primary contact for the decision-makers and leads the sales process. 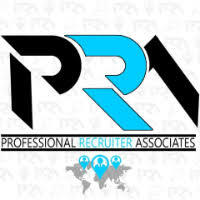 Will work closely with the Account Manager and Sales team to successfully transition account implementation and management responsibility to them. Ensures smooth transition of on-going account management to Account Manager. 5+ years contract furniture business development experience. Major furniture product line experience a plus (ex. Knoll, Haworth, Herman Miller, Steelcase).